It’s true that nobody walks in L.A., but boy howdy do a lot of Angelenos run. On roads, on gravel paths, on trails, up the sides of mountains, along beaches: runners, joggers, ultra-marathoners, and everything in-between are everywhere in Los Angeles. Many visitors to Los Angeles have ideas about what the city is like: big skyscrapers downtown, the tourist-packed walk of fame in Hollywood, the Rose Bowl in Pasadena, fancy houses that cost too much. It’s all here, and yet, so are a treasure trove of trails for your running pleasure. While there are runners in town, not a lot of them take to the trails beyond just a few popular spots. This means there are hundreds of miles of nearly empty trails for the rest of us to explore. 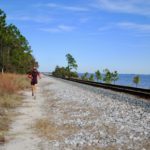 Where do the “real” trail runners like to run? Where are places to get a great workout, lovely scenery, and avoid most of the 20 million folks who live in the metropolitan area? Come along for the highlights reel of one of the most amazing—and unlikely—trail cities in the country: Los Angeles. See all the noted spots, from trailheads to eats to running stores, right here on this handy-dandy Google map . Los Angeles is one of those cities that kind of prides itself on not having a “center.” Each pocket of town is it’s own little thing complete with trends and a certain vibe. Regardless, you’ve gotta divide the city up somehow. So, let’s say you are staying somewhere in the “middle” of Los Angeles: Echo Park, Silverlake, East Hollywood, Los Feliz, and parts slightly east like Atwater, Eagle Rock, and Glendale. I’ll even throw in Burbank and North Hollywood for good measure. What you have is a lot of city with Griffith Park right smack in the center. And that means TRAILS. You have some amazingly close options to wet your trail whistle without making even a half day out of it, if you don’t want that. From the northern side of Griffith you get fabulous views of the San Gabriel Mountains in the eastern distance. First, let’s tackle the biggest and best urban park probably in the country: Griffith Park. It has been an anchor point for Angelenos for nearly 100 years, hosting trails, dirt roads, the Zoo, Griffith Park Observatory, and of course the Hollywood Sign. The trails intersect, weave, and co-mingle so to avoid getting turned around, use your GPS app (such as Strava) to help retrace your steps if needed. This is a fantastic shorter intro-to-Griffith run that will give you some ups and downs (including a great quad-pounding downhill finish) and some nice views of the city, to boot. Start from parking lot and head across the pavement to the first big uphill trail south: Lower Beacon Trail. Head up and contour around the eastern slope, winding east and then south as you gain height (with some rolling downs, too) and a nice view of downtown. At the junction with the Coolidge trail, bear right and pass behind the fence for a driving range. From here you’re going to have another nice long uphill on your way to Five Points trail juncture. Keep heading up 1 mile until you get to a flattish place where several trails converge. Take a right for a few hundred yards to take in the views from the top of Beacon Hill and then come back to Five Points. Now for Fern Canyon downhill: coming down from Beacon Hill you will take the right trail down Fern Canyon. This downhill is one of the best sustained and yet kind of steep downhills for the money. You’ll get a good mile of quad-pounding before landing right back down near the parking lot where you started. See this route mapped, here. Go big or go home, shall we? Park at the Merry-Go-Round parking lot (On Crystal Springs Drive, when the Ranger Station is on the east, turn west up the paved incline to the parking area. Parking is ample except on rare holidays.). From here you have a boatload of options for loops, out-and-backs, everything your heart desires. Sunset is one of my favorite times to run in Griffith. Carry a light if it’s gonna be close…. When your gravel 3-mile trail hits a paved road (Mt. Hollywood Drive), take a right and follow it until your left on Mulholland Trail. You are already seeing the Hollywood Sign from the side as you approach, which is pretty sweet. At the end of Mulholland Trail, another paved road and another right on Mt. Lee Drive. Now you’ll see the hikers. So many hikers. Follow Mt. Lee up and around until you are above and behind the Hollywood sign. When ready…. Let’s head back, a slightly different way. Down Mt. Lee Drive, take a left on Mulholland Trail and stay on that until the junction with Mt. Hollywood Drive (paved). Take a left and follow until taking a right on Vista Del Valle Drive (paved/gravel). Run this nice flat stretch if you’d like, or take a break in the heat of the day, until you reach a left on Bill Eckert Trail for some more down hilling. Follow this for almost 2 miles, enjoying the gravel switchbacks, passing the Bee Rock Trail on your right at which point you will join up with Upper Old Zoo Trail. (Want extra miles AND climb? Do the Bee Rock out and back for yet another scenic overlook!) Follow the Upper Old Zoo Trail 1 mile all the way back to the parking lot where you began. Whew! This is a rather complicated run to describe, so you can see it in mapped glory right here, and don’t forget, while you might go down some “wrong” paths in Griffith, you can’t get (that) lost. It’s a big and well-traveled park. Carry enough water and don’t be afraid to ask someone if you’re really turned around, or consult your GPS. To the east and north of the Griffith Park area, you’ll find Glendale, and beyond that, a sweet enclave of a neighborhood called La Cañada Flintridge. Here you will find a smallish but totally runnable trail system that is home to lots of neighborhood dog walkers and a few dedicated trail runners. It doesn’t get much runner love, with Griffith and the Verdugos nearby, but Cherry Canyon is a nice little enclave of trails. The ridgetop trails of Cherry Canyon can be seen across Hwy 2 from the eastern side of the Verdugos, especially from upper Beaudry loop. 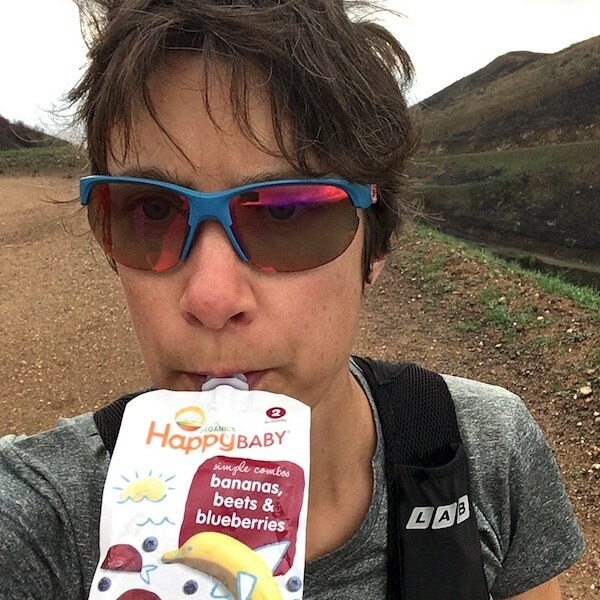 Your basic Cherry Canyon loop starts from the trailhead at the end of Hampstead Road. You can create anything from under 3 miles to 8 or more depending on how many loops, extensions, and exploration you do. To hit the higher mileages, head southward along the top trails until you are above the soccer fields, then find the cool loop trail that goes down along the incline, crosses over through the park, and climbs back up again. Hampstead Road start for Cherry Canyon. Like gardens? Awesome. After this run you can visit neighboring Descanso Gardens for a lovely stroll through verdant hills and perfectly manicured foliage. Or not. You could just go find some tacos. Our next two runs are in the Verdugo Mountains, just north of Burbank and west of Monrovia. When you get a little overwhelmed by the Griffith Park crowds, the Verdugos will beckon. It’s that “kind of big” mountain you can see from Griffith to the north, but clearly it is not THE mountains, which loom further in the background. The Verdugos offer far less shade than much of Griffith, but for heat training runs (or trying to catch some winter warmth) the Verdugos really shine. As will your forehead. Bring water. There is approximately one place to procure water in all of the Verdugos, and if you find it, good on ya. For Beaudry Loop, finding the start of the trail is harder than navigating the loop itself. Head up the 2 from anywhere north of downtown, and take the Mountain St exit, heading west. North/right on Verdugo, take the left fork on Cañada Blvd, follow that to a left on Country Club Drive. Follow that to a left on Beaudry Blvd and follow that to the end, where it turns right and becomes Beaudry Terrace. Park along the road, being nice to residents. Head up towards and past the drainage and you’re on the way. Once on the loop, choose north first for the steeper climbs, or south first for slightly easier climbing but some rockin’ downhills to finish. Follow signs for the loop as needed (north to south, south to north). 5.8 miles and boy is it a warm one right around noon. The bottom where Beaudry North and South part ways, with cool old signs and more informative but slightly boring new signs. Map of the route here. BONUS: Really want some brutal elevation change? Add an out-and-back for an extra 4.2 miles and 1600+ of gain/loss. At the junction of Beaudry south and north, take Las Flores Motorway down down down to the end at a paved cul-de-sac. Head back up and then go down the way you didn’t come up. The elevation profile of this one looks like two mountains, because basically that’s what you did. You earned your tacos today. Get a little bit of flat while still putting down some good elevation change, all in one 6 mile loop. Pick your direction: head up Wildwood to get the gnarly steep trail on the uphill with rolling downhills all the way in (described below), or head out De Bell Drive for easy and flat miles early on with a truly screamer downhill to finish. Don’t take Wildwood lightly in either direction: wear your best tractioned shoes and be prepared for quad burn. It’s 1.8 miles and 1700’ feet of loss (or gain). Looking down Wildwood, it’s easy to see the grind you’ve already earned. Take a look at Griffith Park below and chuckle at how small it seems. Start at the parking lot at the end/top of Harvard Road. Head to the east to catch the Wildwood trail, just past a fountain and port-a-potties. Grind uphill for a total of 1.8 miles, avoiding the right detour out to an overlook about .9 miles up. Keep on chugging, and you’ll reach the top below some radio towers, with a bench for lounging, but don’t stay long as now you get to go downhill for 4.2 miles. Head steeply down to the north, enjoying the views of all those folks stuck on the 210 down below, then head west (left), following the Verdugo Motorway along the spine of the Verdugos. At 3.9 miles after having passed a few more benches you’ll reach Stough Canyon Mountain Way. Head down to the north, towards the sprawl of Burbank below. Pop out at the nature center at the top of Walnut Ave, and pound some pavement to your left turn on De Bell Drive (also pavement). Follow it back to a left on Harvard Road, and right to your starting parking lot for an “easy” 6 miles. In fall of 2017 a fire ripped through many of the formerly lush areas high on the Verdugo ridgeline, blackening the ground for months. By spring 2018 the grasses are coming back, but the scars remain. The Santa Monica Mountains: Westward, Ho! If you’re already staying towards the western side of town (Venice, Westwood, Culver City, Santa Monica) or along the 101 near Woodland Hills or Thousand Oaks, you’re in prime position to explore the Santa Monicas. Trails galore and ample places to chill on the beach afterwards make this a great place to visit mid-week for the best parking and minimal crowds. Yes, it’s big. No, you probably can’t do it all at once. But the Backbone Trail is the result of years of linking together routes along the Santa Monica mountains and it is a lovely trail indeed. The northern end is the Ray Miller Trailhead, and the southern terminus pops out at Will Rogers State Park in Brentwood. At either end you will find parking (and fees) and a great network of trails to explore. I highly recommend the Ray Miller side for coastal views and singletrack you will have to yourself most days of the week. BONUS: after a run on this side of the mountains you can catch grub at Neptune’s Net. Sure it’s a little touristy, but it’s quite good, and that’s a rare combination. On the southern end, head up almost any trail from Will Rogers, such as Inspiration Loop Trail, and make loops with the Rivas Canyon Trail, the Rustic Canyon Trail, Josepho Spur Trail, and the Backbone trail itself. For ease of routing, out and backs are also a great option here. Because I am still getting to know the Santa Monicas, they are not getting as much detailed treatment as more centrally-located trails, so get out there and explore. Use trail guides such as TrailRunProject and hit up local runners, westsiders or no. When you’re done with your tour of all that Will Rogers has to offer from a few miles to most of a day, Culver City is not far and that means Father’s Office for burgers (see below). A recent addition to the app world is the Trail Run Project sponsored by REI. Find new trails, contribute those that are missing, and use the app on your phone when you’re out in the wild. For a city of a bajillion people, Los Angeles seems to not have a ton of local running shops, but we seem to get by. Each one—I’m happy to report—is revered and heavily trafficked by nearby trail and road runners alike. Of course there are the big-box places, and that “nicer” chain that goes by the name of REI. But local running shops love to have you visit and they support running clubs and races all over town. Support them, in turn. A Runner’s Circle (Los Feliz, Hollywood). Easily the best-known running shop in town. Their location in Atwater Village (on the cusp of Los Feliz) is just east of Griffith Park and they hold several weekly group runs that take runners of all abilities on loops near and through the park. A second location in Hollywood covers most of the city’s bases (sorry, Westsiders!). Shoe brands carried include HOKA ONE ONE, Altra, New Balance, Saucony, Asics, Brooks, Mizuno, and Newton. Run With Us (Pasadena). 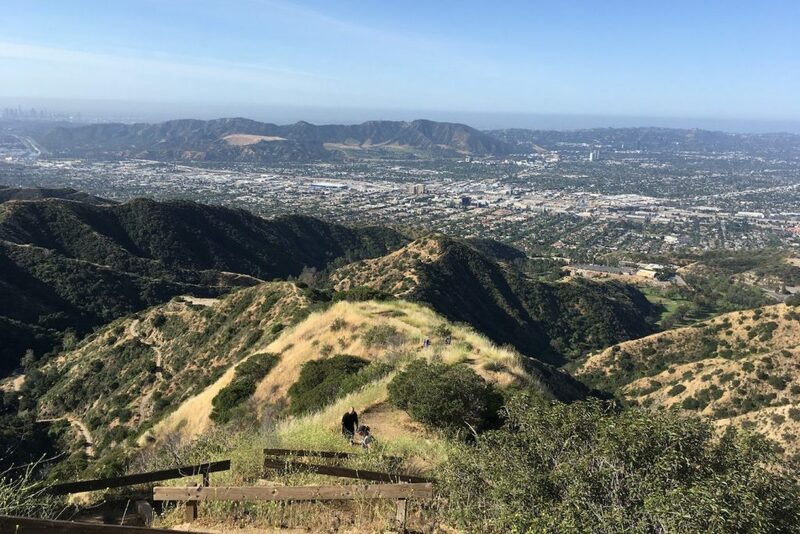 Technically not in the city of Los Angeles, but Run With Us has a heavy trail running base, being so close to the foothills of the San Gabriel Mountains. They sponsor races such at the Mt Wilson Trail race each spring, and you’ll see their logo shirts on many of the elite runners zipping around on mountain trails or at the Angeles Crest 100 each summer. Shoe brands include: Adidas, Asics, Altra, Brooks, HOKA ONE ONE, Inov-8, Mizuno, New Balance, On, Salomon, Saucony, Zoot. Run With Us also seems to have the most comprehensive flavor selection of the most energy gel brands I’ve ever seen. Just sayin’. Runnergy (Sherman Oaks). Runnergy’s specialty is making you feel special: they will treadmill test your gait and advise you what will work for your needs and expectations. By that I mean they won’t choose some particular brand they think is best: they’ll take your hopes and dreams and find the perfect complementary shoe to make it happen. They even cater to those barefoot-ish types (and not many stores do, these days). Bonus: Tuesday night taco runs. Get in a handful of miles with an enthusiastic group and then eat from one of the best and most famous trucks in town: Kogi BBQ. Shoe brands include: Skechers, Vibram Fivefingers, Topo Athletic, Saucony, New Balance, Mizuno, Lems, HOKA ONE ONE, Brooks, Asics, Altra, Adidas. Originally the plan was to compile a good short list of healthy spots in Los Angeles with the endurance athlete in mind. Then, reality won out: Los Angeles is an amazing food city, and really, no one is ever far from a big-name salad restaurant or healthy grocery store in a pinch. What you need to know as a visitor is where to find the foods that make Los Angeles one of the most dynamic food cities in the world. Let’s take advantage of that. Because this is a huge metropolitan area, let’s keep it simple and pick some classic Los Angeles foods, then send you on your way to excellent places to find those dishes. Here are the briefest of recommendations in four critical food categories. TACOS. Guisados Tacos (Burbank, Echo Park, Downtown, West Hollywood, Boyle Heights). Tacos are the lifeblood of this city and run the gamut from bean to fried fish to heirloom mushrooms to Korean shortribs. You can find anything stuffed into a taco, really. But at Guisados you’ll find a refreshingly simple menu: hand-formed thick corn tortillas topped with braised fillings full of flavor and authenticity. Get the sampler plate for under 8 bucks for 6 mini tacos with their most popular fillings like mole chicken and green chili pork. Even after a long run, it’s hard to blow more than $15 here. FANCY BURGERS. Father’s Office (Santa Monica, Culver City). Back in 2000, before gastropubs were even a thing, Father’s Office changed the burger landscape forever. Their truly gourmet no-substitutions patty smothered in blue cheese, onions, gruyere, and arugula forever changed what we expected from our “fancy” burgers. Be okay with their house rules (no ketchup) because as designed this burger is amazing. Your non-burger-eating friends can have an amazing steak or some of the best meal-sized salads in town. Must be 21+ to dine here and they don’t mess around with exceptions. CHOPPED SALAD. Pizzeria Mozza (Hollywood). Los Angeles is home to one of the most iconic modern salads: the Chopped Italian. Nancy Silverton mastered the Los Angeles chopped Italian salad: find it at her flagship restaurant Pizzeria Mozza (where you can also have some of the best pizza of your life). Other variations on the chopped salad abound: try Joan’s on Third for another famous salad: Chinese Chicken, or Aroma Cafe in Studio City for both chopped and classic Cobb salads. Elaine from Seinfeld would be proud. For more inspiration I strongly recommend LA Taco’s Rogue 99 Guide. This list is a heartfelt tribute to the most undeniably local restaurants Los Angeles has to offer, many of which are funky holes-in-the-wall. Had enough of Los Angeles for one trip? Perhaps that’s for the best. Housing here is just a wee bit pricey. Come visit often and enjoy our trails and tacos and leave the mortgages to us.